Small in size, with incredible value! 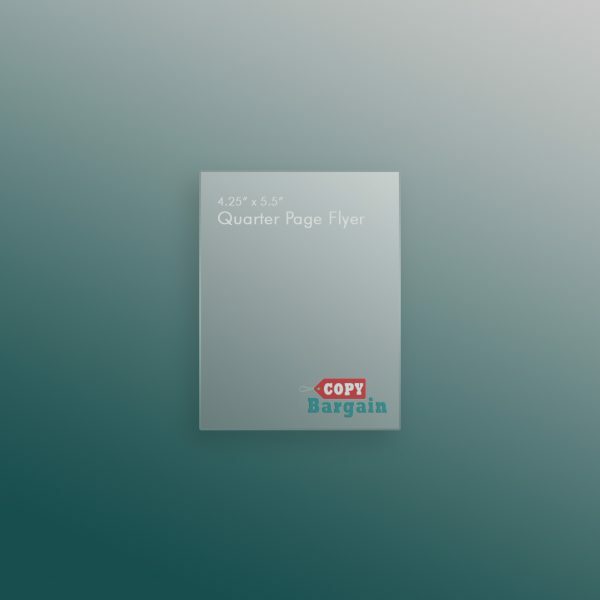 Our quarter page flyers come in at 5.5”x4.25” and are printed on water-resistant 100lb Gloss Book with environmentally friendly Aqueous coating. 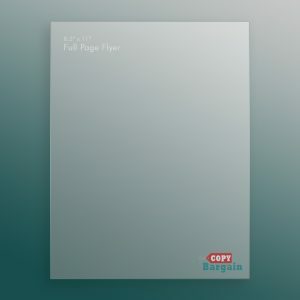 When you want big impact in minimal space, then our quarter page flyers are the right option for you. Are you interested in promoting your business but maintaining great value? Our quarter page flyers let you do just that. Printed on water-resistant Aqueous coated paper (100lb Gloss Book), and measuring at 5.5”x4.25”, our quarter page flyers take up a hefty 25% of a standard page. Even at a quarter page, our flyers will boast an impressive resume and leave a lasting impact. These are the perfect size for companies that are just starting out or for sharing images, promos, and other important information you might want potential, and existing, clients to know. Stand out from the crowd and take a page from the original marketing book by investing in something printed and tangible that your clients can keep on hand. 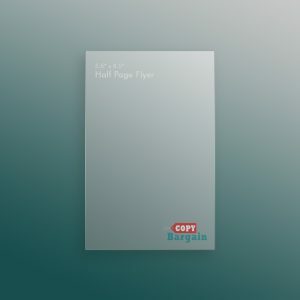 Copy Bargain is the premiere printing service, offering quick turnaround times and low prices, with exceptional assistance to meet all of your needs. Our online form makes it easy for you to choose what size print job you need before uploading your work onto the site. With free file checks on every order you place, you can rest assured that you’re getting the professional service that you want. Take our advice and give the people something to hang onto when you invest in our quarter page flyers.